Design-Tek now integrates Mold Flow Analysis Software into our plastic product design process. 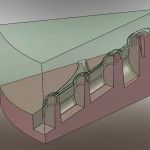 This software simulates how melted plastic flows during the injection molding process. This helps predict manufacturing-related defects before they get molded, improving part quality and saving you money. For more information, call us today! We take pride in our plastic product design and engineering of your products. Typically design starts to take shape after an NDA (Non-Disclosure Agreement) and basic sketches of what you want your product to be are outlined. From those sketches we can create 3 dimensional CAD (Computer Aided Drafts) of your product. After the CAD files are created we then can send you renderings via e-mail or other means so that you can see the type of work we do. 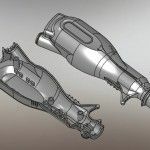 Once you feel good about your plastic product design we can then take the CAD files and start on a 3D prototype that you can hold in your hands and actually try the product out. Test, test and more test. If there are any modification to make on the prototype to either strengthen, modify fit or add or take away a feature this will be done again in the CAD files. If you are satisfied with the product you can then go to the quoting and mold making stage. If more modifications are need, those changes will then be made and re-prototyped and proved until a you are satisfied with a working model. The nice part that separates Design-Tek is that we design the parts to be moldable. 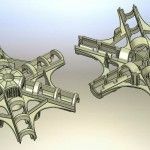 Many design shops will come up with great designs but many of them are not moldable or machinable. That’s where Design-Tek is steps ahead.